Target has been collaborating with Celebrity Designers for years, their latest foray is with popular Pinners. Designs by Kate Arends of Wit & Delight cater to the artisan food and craft beer crowd offering all kinds of geometric goods for your tabletop. These candles and platters, as well plates, bottle openers, and beer tasting sets. As with all of Target’s limited edition collections, snap up what you like quickly because they will be sold out in no time! I popped into the store the other day and found a pack of gold and black pencils from the line. 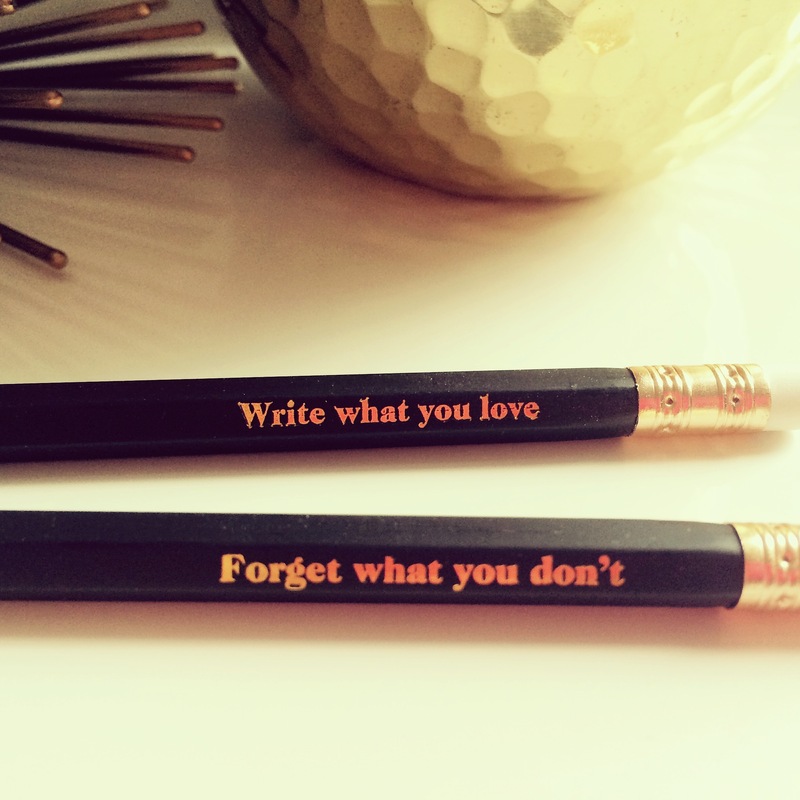 These two pencils were in the pack, so I just had to get them for a little extra inspiration.